In this article, you will learn how to build a website with your own site address. Register new domain through WebWave CMS interface - in this article, you will learn how. 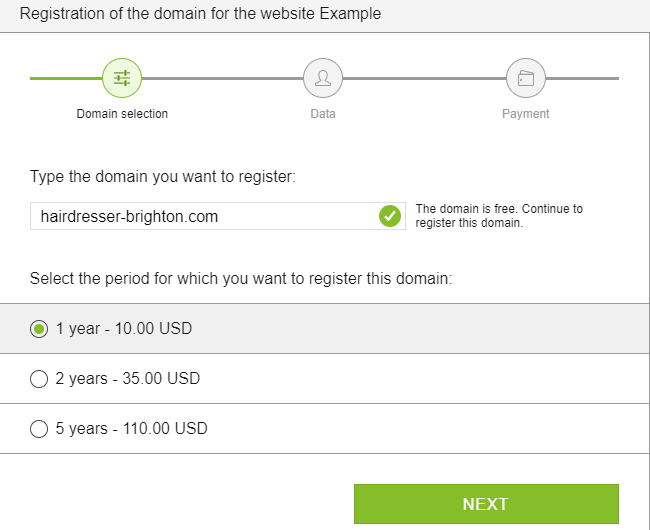 Redirect domain registered at third-party supplier - read more. To register a new domain in website builder WebWave, open Webmaster's panel and in chosen website's settings select "Site address". In a new window, in "Register new domain" section enter a domain name, which you want to register and check if it is available. 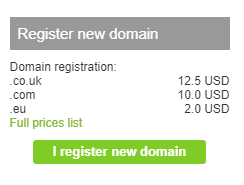 To register a new domain press "Register". After payment domain will be automatically registered and configurated. Keep in mind that after registration, new data is transferred to DNS servers and it takes up to 24h. If your website doesn't display right away, give it some time.